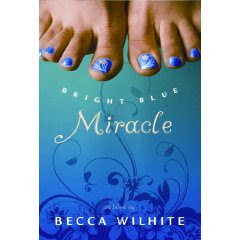 “Seventeen-year-old Leigh Mason is not sure she’s ready to share her mom, her bedroom, and her little sisters with her new stepsister, Betsy. And she’s definitely not ready to share her best friend, who happens to be a boy! Coping with a blended family is not easy for either Leigh or Betsy, especially during their senior year in high school. Each step brings them nearer to a crisis that will either send them running in different directions or bind them firmly together (which, let’s face it, would take a miracle). This was a fun-loving realistic look at how it would feel to combine families and share a room with what seems to be a “perfect” step-sister. Blending two households with teenagers is never an easy task! But Gamma makes it easier with her pedicures and hook ups. It’s a great book for teens with lessons of sharing your guy friends with their girlfriends. Jeremy handles things as every girl wishes he would and you’ll find your heart strings tugged. I give it a three out of five stars.